Become part of something big. Click here to do your part. With your help, we can change young lives, create invaluable opportunities and lift up all of Baja. 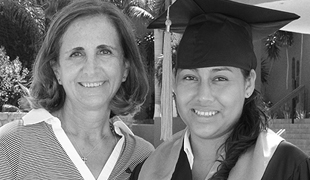 Building Baja's Future (BBF) helps young adults gain an education to build a better future for themselves and their communities. Find out more. Every year we award scholarships that cover 100% of college tuition to deserving young men and women. Find out if you are eligible. Our scholars have diverse backgrounds and different academic interests, but they all have one thing in common: A passionate desire to learn. Join the BBF community. Your contribution will directly benefit our college-bound scholars.Contact us to begin.